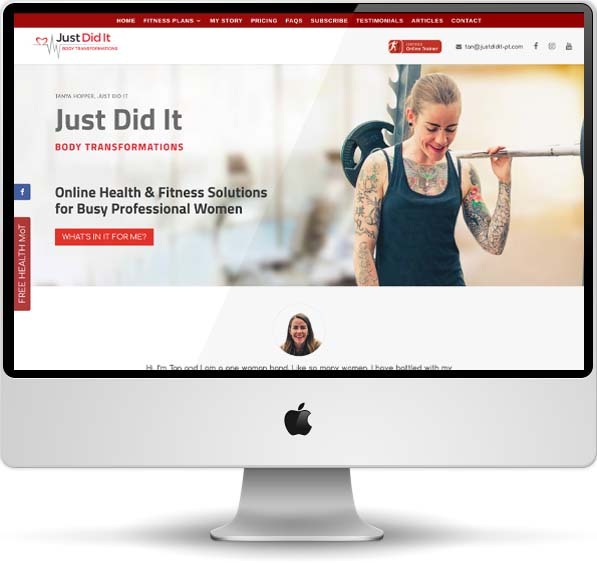 Just Did It is a unique online physical fitness and body transformation business, providing nutrition and fitness coaching to professional women. The Just Did It website is a custom CMS website, incorporating SSL encryption, multiple pages, complex application form functionality, social media integration, Mailchimp™ email campaign integration, blog and client case studies/testimonials. It is a fully responsive website. You can see the Just Did It website here.